800,000 pageviews later, the 6th Annual JobMob Guest Blogging Contest is over and the prizes are ready to be won. Behind the scenes, this was a surprisingly intriguing contest. More on that in a second. There were many highs this year. Unfortunately, there were too many lows this year. That's what happens when prize values get so high, I suppose. For the first time, an entrant was disqualified. Not only did the entrant have paid traffic streaming to their article, but the article itself was spun (in this case, some might say ‘plagiarized') from the blog of a well-known author. 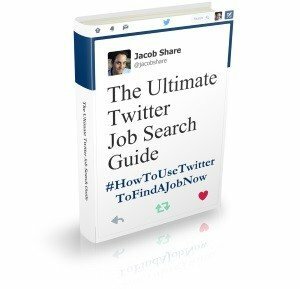 The article has since been removed from the JobMob archives. I sincerely apologize to that author and anyone that read the article. We screen all entries for plagiarism and have caught many attempts in the past (I rejected one such entrant for this year's contest) but this was expertly done and the entrant almost got away with it. Almost, but they didn't. But enough about the lows! Let's enjoy the winners' achievements and thank the great sponsors who made it all possible. WebHostingBuzz is a reliable web hosting company based in MA, USA. WebHostingBuzz serves over 30,000 clients from around the world. With a reputation for reliable, fast server technology backed by excellent customer support, WebHostingBuzz is an ideal choice for any internet project regardless of the budget available. WebHostingBuzz offers a 45-day money back guarantee for its hosting services and also has a generous affiliate program. Kiesha Easley is the owner of WeBlogBetter.com, a blog devoted to offering blogging tips. She is a writer, copy-editor, and mass communications instructor. She’s just released, 10 Week GamePlan for a Top 100k Blog, a book that teaches new or struggling bloggers how to take a blog from setup to Top 100k Alexa ranking blog in 10 weeks or less. During this time, they'll learn to get more traffic and create an irresistible blog. Connect with her on Twitter @weblogbetter. Web SEO Analytics is one of the most complete & innovative online marketing platforms providing pioneering SEO tools and SEM Software. MyBlogGuest is the free platform which bloggers join to easier find each other and exchange guest posts. The most popular feature inside is the Articles Gallery where you can upload an article for blog owners to come to review it and make their offers. Here's a quick video intro made by one of our members. JibberJobber is a career management tool designed to help job seekers organize and manage their job search. More than a job search organizer, it is a personal relationship manager you can use between job searches. It is your personal relationship management tool to use during the rest of your career. Animal is the host of a rowdy online call-in show about recruiting and careers. In April 2006, he founded the Recruiting Animal blog, then, in March 2007, he started The Recruiting Animal Show, the only online call-in show about recruiting in world history. But can you handle it? Read the letter to guests to find out. A copy of Kiesha Eisley’s ebook 10 Week GamePlan for a Top 100k Blog. Sponsored by Kiesha Easley and WeBlogBetter.com. US$100. Sponsored by Ann Smarty and MyBlogGuest.com. US$50. Sponsored by Ann Smarty and MyBlogGuest.com. The Grand Prize Winner is: Chris Perry! Interviewed on The Recruiting Animal Show. Sponsored by Recruiting Animal. That's it! Another successful guest blogging contest done, bigger than ever. To all the winners: congratulations, and I'll be in touch with you next week on Tuesday, October 8th about how to claim your prizes. Thank you to Chris, Mildred, Bless, Peggy, Dan, Joshua, Lavie, Hannah, Donna, Lynn, Yehoshua, Elliot, Danielle, Marshall, Tammy, Chrissy, Tahl, Roderick, Joey, Dean, David, Rosa and of course, the Recruiting Animal. Thanks again to our terrific sponsors. And thank you too for following along, enjoying the entries and sharing your favorites for the winners. Regularly-scheduled blogging returns here on JobMob next week. 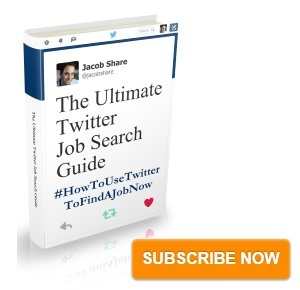 Subscribe to JobMob via RSS or email and follow me on Twitter for, let's face it, the BEST job search guest blogging contests on the web. I am so sorry I missed this year’s guest blogging contest, Jacob. I always enjoy participating and reading all the entries, but I was too busy with book promotions this year and am just catching up now. I am happy to hear it was so successful.